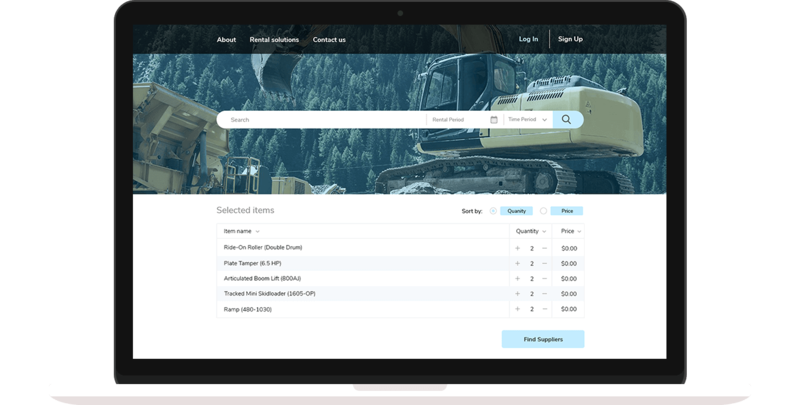 An eCommerce website solution for construction equipment rental that helps to connect renters and suppliers. It helps to reach an agreement regarding construction equipment rent. Everyone is buying, selling or renting online these days, and the eCommerce market is only growing bigger. Nowadays, you can easily turn your passion into your job or business. 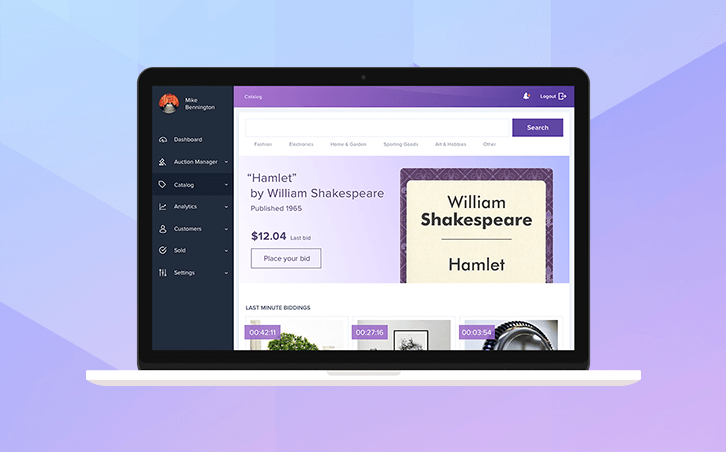 The main goal of such portals is to connect customers and suppliers, help them find whatever they need for further supporting of their creativity and growth. Our customer required to optimize UI/UX of the existing online store platform for construction equipment rental. He also asked to give and implement front-end development recommendations. Moreover, some code structure optimization was required. 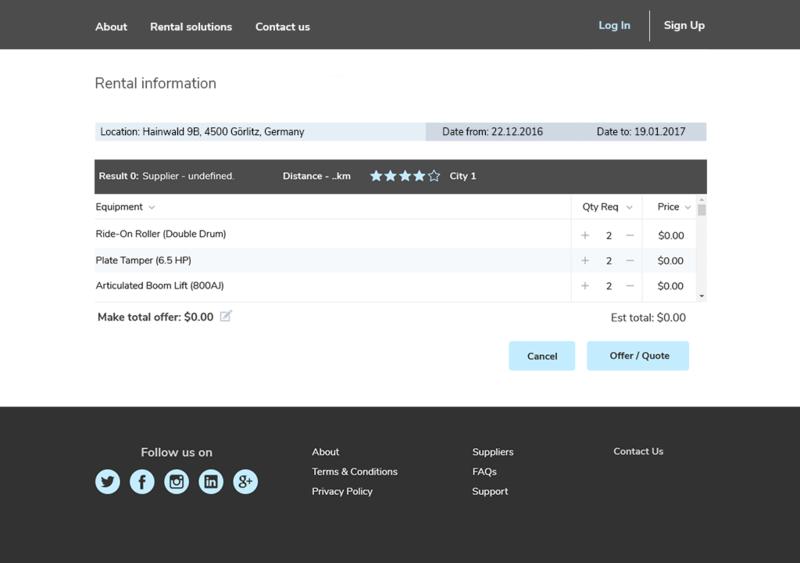 Eventually, the customer needed a good looking and fast working eCommerce web-application. Our outsourcing software development company was asked to improve UX and UI development features of the online B2B cross-rental platform and implement new high-end and efficient functions. The implementation of our recommendations made it possible to rent construction equipment at a reasonable price and from reliable suppliers for people from all over the world. 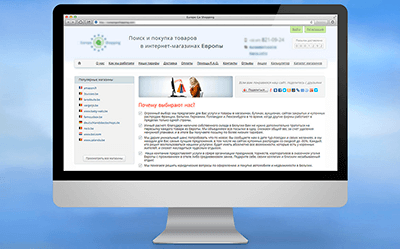 The eCommerce website smoothly operates both on the mobile devices and PCs. Moreover, the customer needed to augment their IT staff. The website allows suppliers and renters to deal with each other, search construction equipment, and make/cancel an offer. 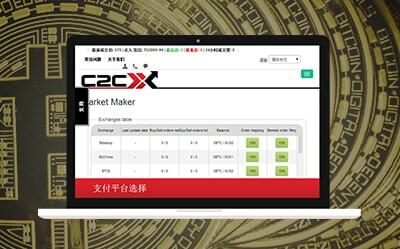 All users are authorized and have a personal account to communicate with other users about rental conditions. Our team chose the Amazon server to host and stable work of the platform. 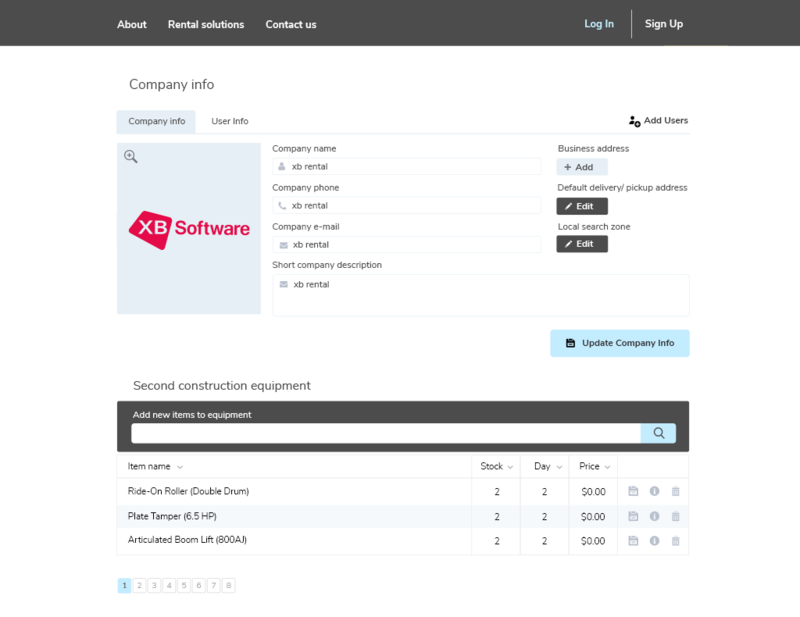 XB Software team implemented simple-in-use intuitive solutions and created the user-friendly web-platform for construction equipment rental that allows connecting renters and suppliers, tracking rental price and position of every piece of equipment. The platform is ridiculously easy to use and mobile version of the app allows for operations on the go. A German company specialized in the construction equipment rental. The company provides the innovative service as an online B2B sharing platform that allows people to rent equipment from each other.